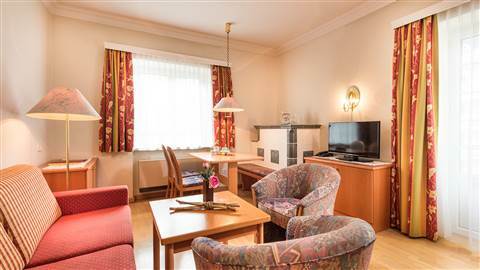 Enjoy a holiday in the centre of Bad Hofgastein, right next to the Alpentherme. 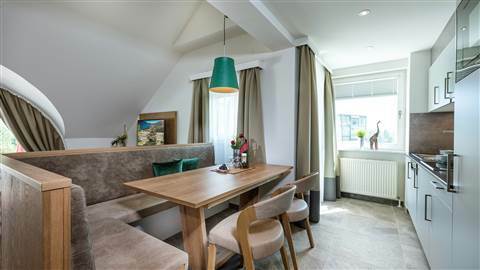 Stylishly furnished apartments sleeping 4 to 6, with living/bedroom, additional bedroom, and cosy dining area (with direct access to the Alpentherme Gastein, entry included). Enjoy the ideal location of these apartments in the centre of Bad Hofgastein, right next to the Alpentherme. 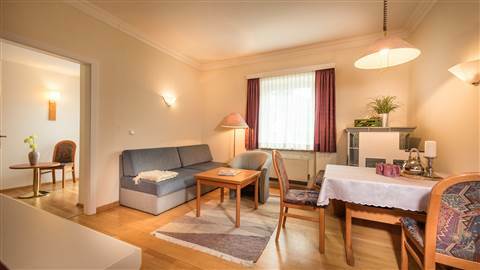 The cosy and stylishly furnished apartments sleep 4 to 5, and are ideal for relaxing (direct “bath robe access” link to the Alpentherme Gastein- entry included). 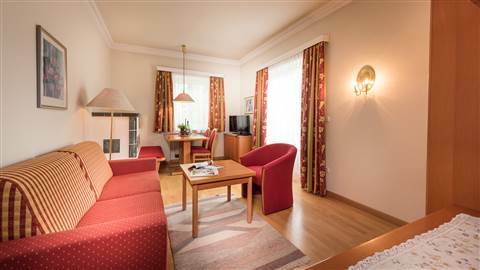 Our spacious 2-floor apartments right next to the Alpentherme in the centre of Bad Hofgastein give you space to relax and recuperate. Enjoy the pleasant atmosphere with family or friends. 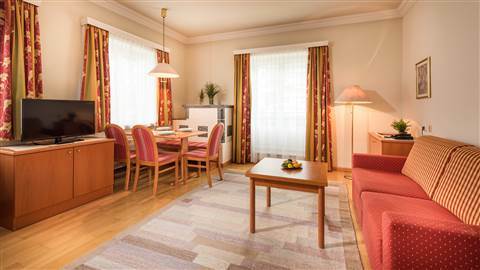 Apartments sleeping 6 to 8 with direct access to the Alpentherme Gastein- Eintritt included. These apartments right next to the Alpentherme in the centre of Bad Hofgastein offer you space to relax and recuperate. Enjoy a cosy environment with the special flair of a Gastein villa. 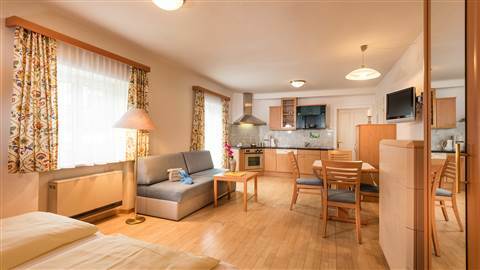 The apartments sleep 2 to 3 and have direct access to the Alpentherme Gastein - entry included. The cosy atmosphere of this light and friendly furnished apartment is extremely welcoming. The double room has an adjoining single room, and with the living room/kitchen with sofa bed, it makes ideal family accommodation. Enjoy wonderful views of the Gastein Mountains from the balcony. 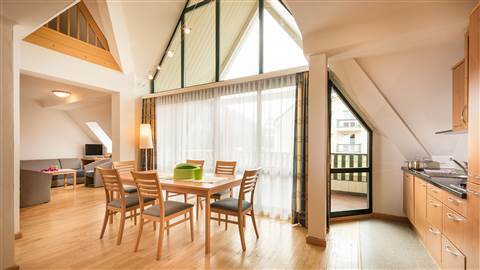 The apartment sleeps up to 5, with direct access to the Alpentherme Gastein - entry included. This spacious, friendly apartment with its cosy atmosphere sleeps up to 6. 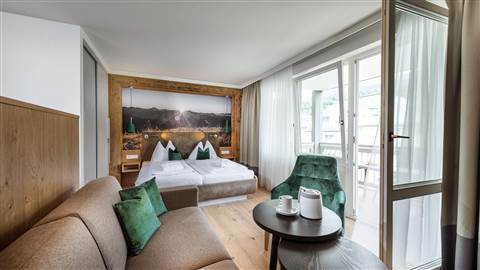 Enjoy splendid views of the Gastein mountains from the balcony. Direct access to the Alpentherme Gastein, entry included. Spend your holiday in Gastein in a friendly, light apartment. Enjoy wonderful views of the Gastein Mountains from your balcony. 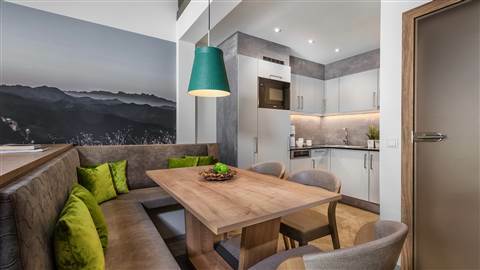 Whether with family or with friends, you are sure to feel at home when staying in Gastein on your holiday in these apartments for up to 6 people with direct access to the Alpentherme Gastein (entry included). 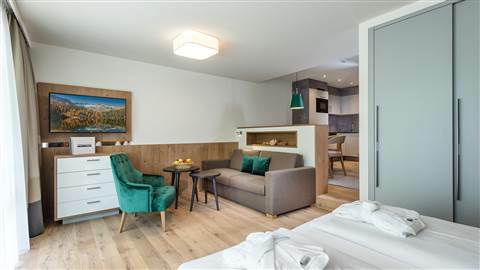 These apartments right next to the Alpentherme in the centre of Bad Hofgastein offer you space to relax and recuperate. Enjoy a cosy environment with the special flair of a Gastein villa. The apartments sleep 2 to 4 and have direct access to the Alpentherme Gastein - entry included. 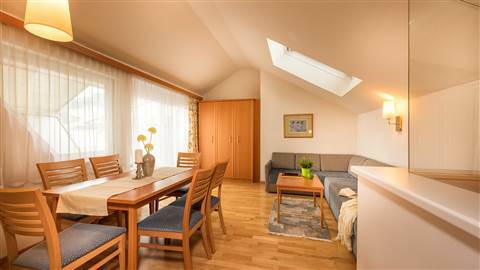 This spacious and sun-drenched 2-floor apartment right next to the Alpentherme in the centre of Bad Hofgastein offers you plenty of space for recuperation. Relax in a pleasant environment with the family or friends. Apartments sleeping 4 to 8, with direct access to the Alpentherme Gastein - entry included. You would like to book personally with us? We are happy to help you by phone and look forward to your call!